Get rid of that weedy patio. 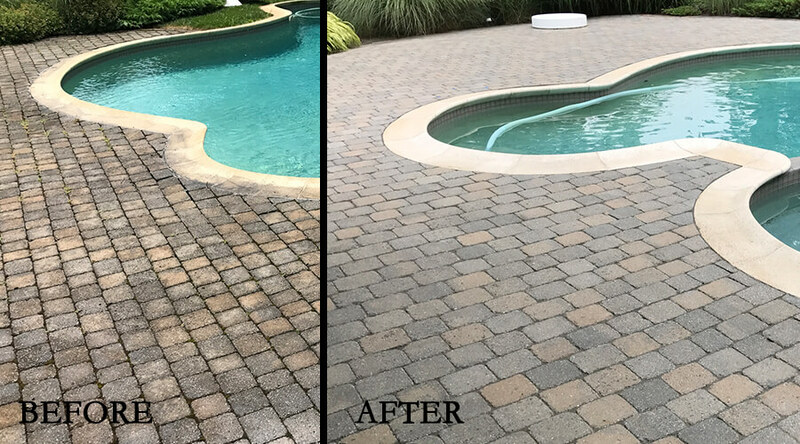 Bring your old pavers back to life at a fraction of the cost of a new installation. You paid a lot of money for those pavers. A little maintenance goes a long way. Everything requires a little maintenance and care. On average a paver installation requires very little day to day care. Long-term maintenance should include a few additional steps. Why it matters: You can extend the life and beauty of your pavers with a few easy steps. Clean your pavers. Over time, they will accumulate a little bit of grime from dust, pollen, foot traffic, leaves and grass clippings, etc. The elements can be brutal to anything left outside your hardscape installation included. There are simple measures that you can take to keep the surface clean. A backpack blower or other leaf blower can quickly dust off a surface and keep it cleaner longer. Every once in a while though, this isn't enough. Lightly power washing the surface should get rid of most stains. There are also specific stain removers that will help with any more stubborn stains. Use a fan tipped nozzle or one that rotates. A 40-degree tip works great. Stay 8 to 10 inches above the surface. 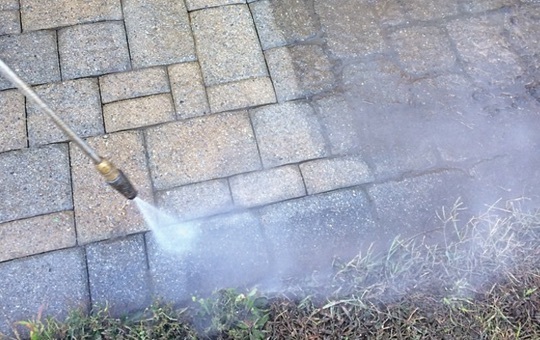 Most homeowner pressure washing units use about 2 to 2½ gallons of water per minute. This is great. Unless you're doing a complete restoration use care around the paver joints, or you can blow all of the sand out of them. 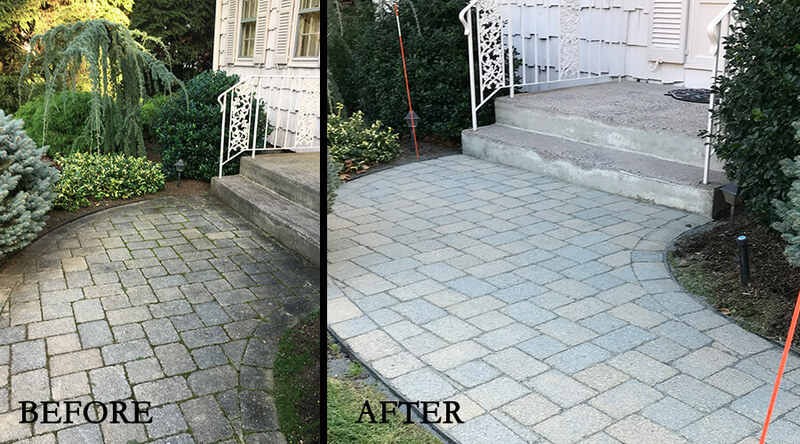 Why it matters: Keeping the paver surface clean will also keep them looking beautiful for a long time to come. If your pavers were installed prior to 2010, it's likely that you have regular sand in the paver joints. If this sand isn't replenished every couple of years, silt and dust will fill the spaces and weeds are likely to grow. This can be prevented (or removed) by having the joints cleaned out and the sand replaced with a polymer sand. There are many types and brands of polymer sand or poly sand as we like to refer to it, on the market today. Some are better than others, but they are all installed roughly the same way. They require a broom to sweep the sand into the joints, and the sand needs to be compacted to vibrate the sand all the way down into the joints. If the sand isn't compacted properly, it will compromise the benefit of the polymer additive. If the poly sand isn't deep enough it will form a crust and likely fall out of the joint with the first major rainstorm. Once the sand is installed all the way to the bottom of the paver joint it needs to be wet in. This is where some manufacturers instructions differ, so be sure to read the instructions carefully. Some want just a mist of water while others need to be flooded with water. The water is to activate a little bit of Portland Cement in the mixture that will set up and bind the sand grains and polymers together. Why it matters: Properly installed poly sand will not fail and should last for a minimum of 5 years. 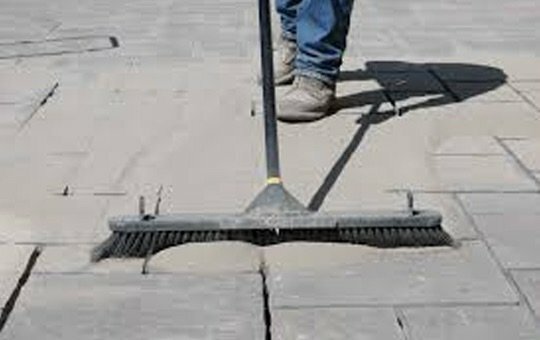 The main benefit to sealing pavers is to prevent the surface erosion that takes place over the years from rain and the elements. All concrete, whether it be pre-cast products like pavers or poured-in-place like sidewalks, will erode over time. Larger aggregates and stones become visible and the paver becomes much rougher than it was when it was smooth and new. Once this happens, it cannot be undone. The process can be slowed, but once the aggregates are exposed the pavers can't be resurfaced. 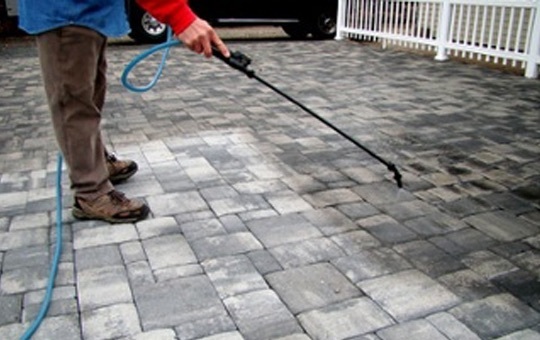 Sealing your pavers professionally every 3-5 years with a sealer will prevent this from occurring. Why it matters: Sealing a paver surface keeps it looking new. It preserves the color. Helps to prevent staining and keeps the surface from eroding away. 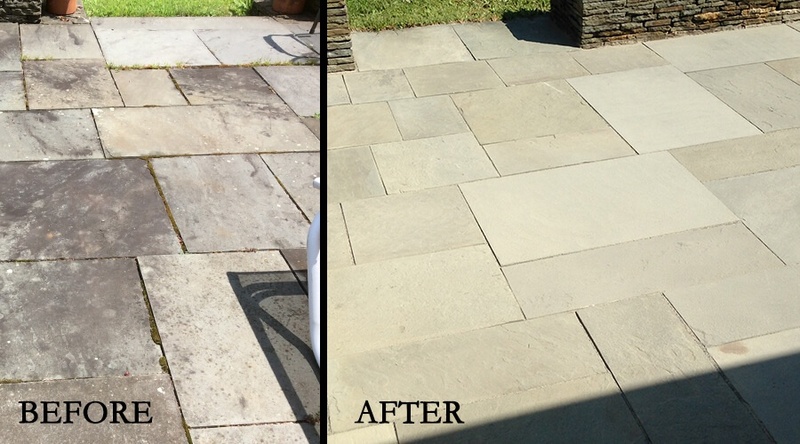 "Our 15 year old patio looks almost brand new. You and your crew did a great job!" Everyone can use more time in their day. Let the professionals do what they do best. A professional has performed the service hundreds of times over years of being in business. They have seen every situation and can fix anything that may go wrong. Specialized equipment makes the job easier. Don't spend your money on costly equipment that you'll only use once or twice. Someone in the business knows what products are on the market. they've tested the different brands and know which work and which don't. They use commercial grade products. As a homeowner you may not have access to the same quality of products that a professional does. You can't just get it from Home Depot all of the time. Some of the products used in restoration can be mishandled. When things go wrong, they go very wrong. Fixing issues is possible, but expensive. They are continuously seeking training. Someone in the industry will have access to all of the newest technology, products and techniques. Professionals have access to training by the manufacturers - not available to homeowners. Some of the processes take practice in what to do, what to watch for, what to expect in different conditions. 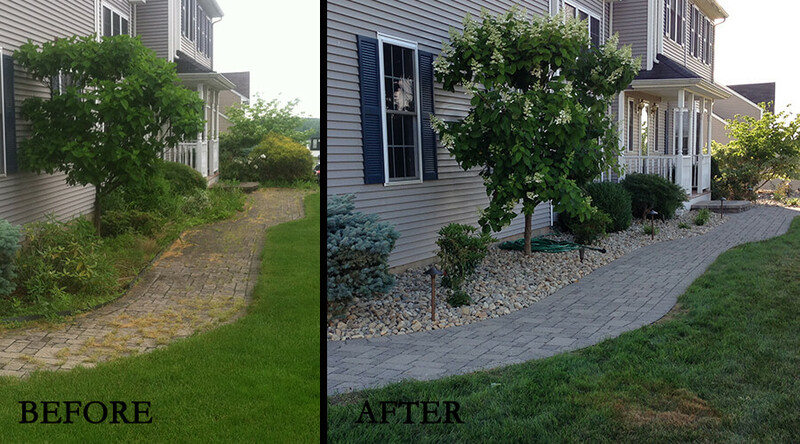 Our Hardscape Cleaning and Maintenance team would be happy to help restore your investment.